Adamson’s A218 houses 2 ND18-S Kevlar Neodymium Sub-Bass drivers in a Front-Loaded Baltic Birch cabinet. The sub is designed to be multi-purpose, and can provide low extension for many of our compact systems, such as the SpekTrix, Metrix or Point Series. 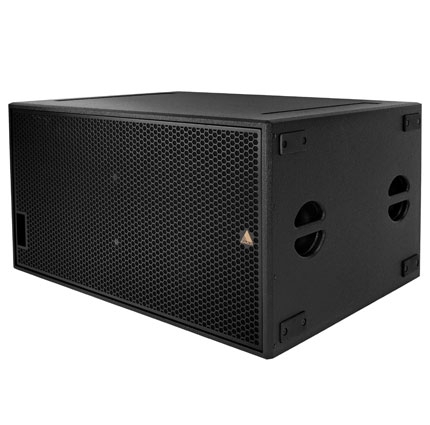 As with many of our other subwoofers, the A218 has two connection points (NL4) on both the front and the back of the cabinet, making cardioid setup easy and clean looking. An optional Caster/Cover Kit is available for the cabinet to aid in moving and protecting the sub.